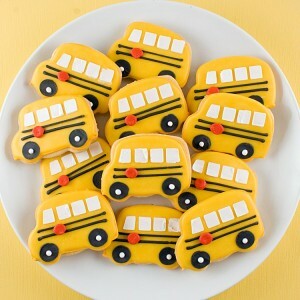 The kids are back in school and the holidays are just around the corner. With a great summer coming to an end, it’s hard to think of unique birthday and fall party ideas that will top the amazing summer parties and get togethers. We have some tricks and suggestions for you. It’s a classical fall party which will appeal to all ages. Many farms rent out their barns for such an occasion. With the barn option, you can take the party indoors if the weather is cool or rainy, thus ensuring a successful event no matter what nature says. 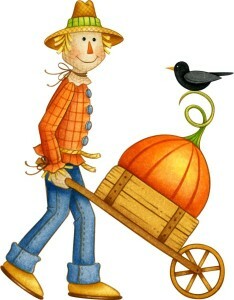 If the party is closer to Halloween, have a pumpkin carving contest or make a scarecrow. Tractor rides on the farm are likely a fun option for kids as well. The temperatures are dropping and you want to hold on the the outdoors for as long as you can. By hosting a drive-in in your own driveway with a Giant Movie Screen, you can bring lots of entertainment while keeping warm inside you car. Give it an authentic feel with a concession stand decked out with a full size popcorn machine. Load on the maple syrup, Nutella, bananas, and all the other toppings you can think of. 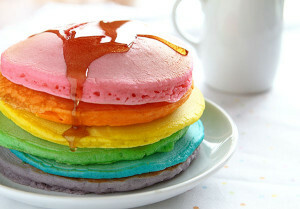 Or try and be colourful with rainbow pancakes. This is a universally fun way to have a party. This type of party is good in the morning, afternoon or evening and for all ages. I’m hungry just thinking about it. Are you? Maybe one of the most obvious ideas, but it’s worth a mention PLUS kids love showing off their Halloween costumes! May as well get the most out of those cute outfits too. Run these any time in October with a Candy Apple Hunt or a candy trade party after Halloween. Make it extra spooky with a fog machine rental or fun with a bubble machine rental. What is a Candy Trade Party? 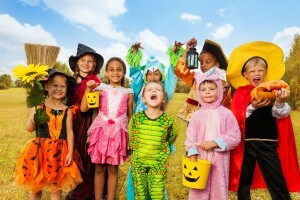 With Peanut sensitive children, this is a great option to have a post halloween party where kids can trade their peanut candies for ones that they can enjoy with friends that don’t have allergies. It also gives picky kids the opportunities to get what they really like. Set up some trading rules such as 1 pt for candies, 2 pts for mini chocolates and 4 pts for full bars etc. This just makes sure everything is fair.